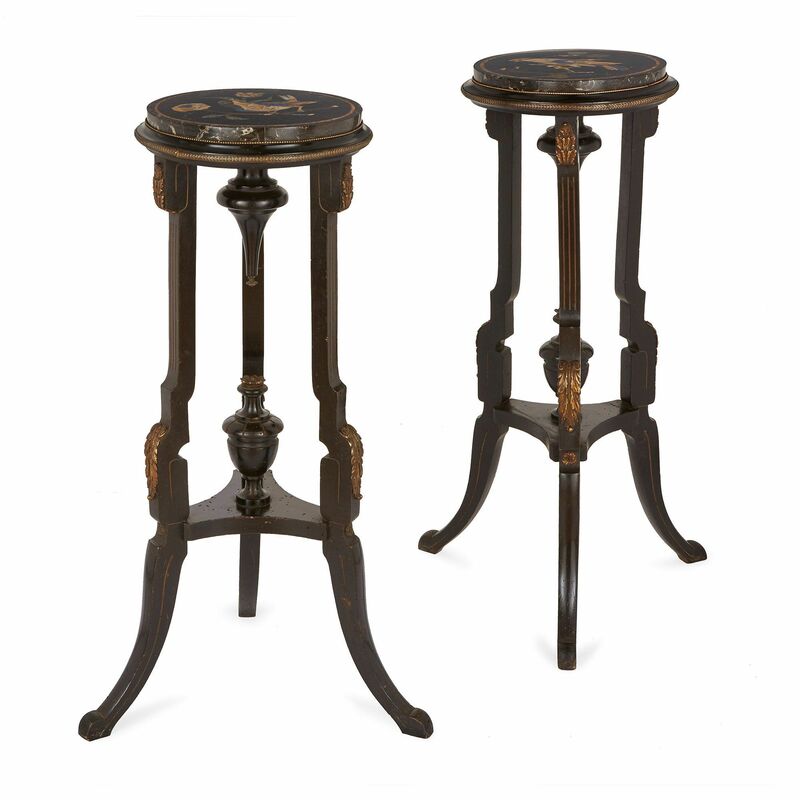 These antique Italian tables make a charming pair: when placed side by side they are seen to create a narrative between the two birds. 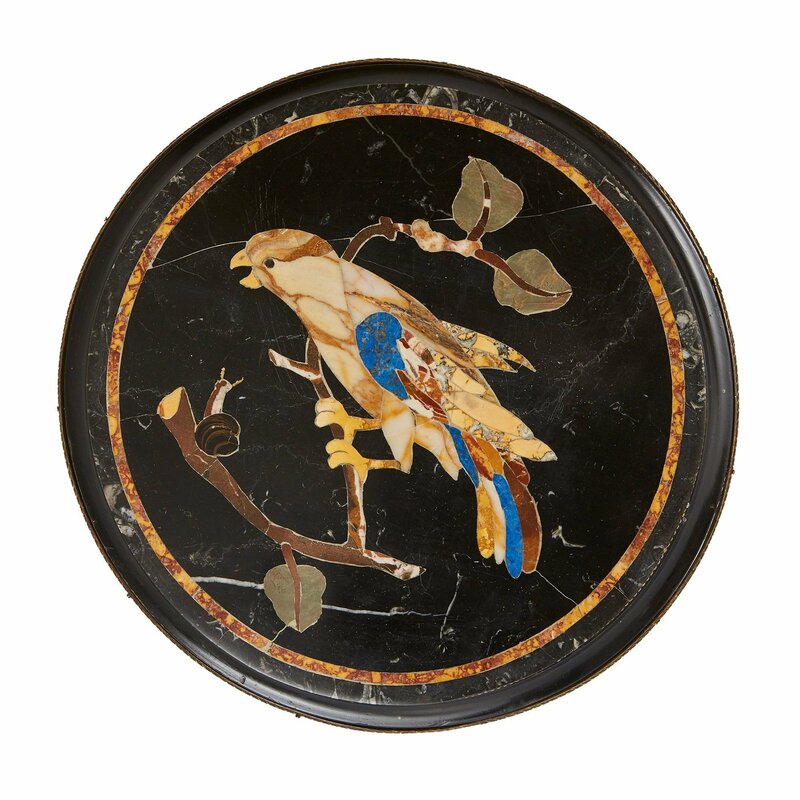 Each tabletop depicting a delicate bird perched on a branch rendered in pietra dura, on wooden bases. 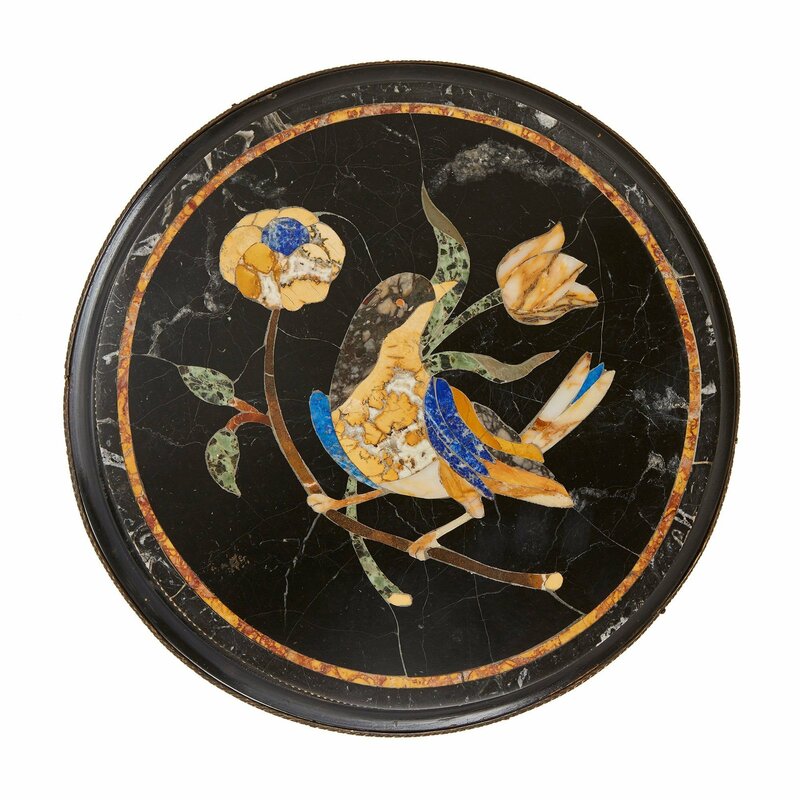 When placed side by side, the pair can be seen to create a narrative: one bird calls to his mate from a leafy branch; she sits surrounded by feminine floral imagery, and turns her neck towards the male in response to his call.